Women make up about half of the Department of Health and Human Services (HHS) Office of Inspector General's workforce. They are dedicated leaders, decision-makers, and innovators—all working to protect the integrity of HHS programs as well as the health and welfare of program beneficiaries. Following are the profiles of some of our inspiring leaders. You don't have to ask Joyce Greenleaf twice to explain why she loves working at HHS OIG. "The Office of Inspector General is an honest broker of information that the public, Members of Congress, patients, and everyone in this country can rely on. Our findings and recommendations make a difference, improving government programs that impact people's lives and well-being," said Greenleaf, who oversees a staff of analysts who work on a variety of national evaluation reports. "People usually don't just fall into working at the Inspector General's Office. Talented, mission-driven people are drawn here because our work matters," she said. 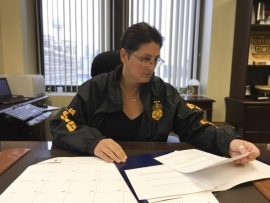 Joyce began her career with OIG in 1986 as a team leader and then Assistant Regional Inspector General. Prior to joining OIG, she worked as a researcher on a grant funded by the Robert Wood Johnson Foundation. She holds a bachelor's degree in sociology and a master's degree in business administration from Clark University. A lifelong resident of Massachusetts, Greenleaf is an instructor at the Training Institute of the Council of the Inspectors General on Integrity and Efficiency. As for advice for workers early in their careers, Greenleaf is characteristically straightforward: "I'd say be curious and brave in your work! Learn as much as you can, always," she says. "And don't worry about competition, the opportunities will come. Seek camaraderie with your colleagues, learn from each other." Some see Gloria Jarmon as an anomaly: an extroverted, trailblazing woman three decades into a profession often associated with men. In fact, Jarmon said that embracing the unexpected and different—novel ideas, new technologies, and the diversity of people—is a crucial skill for success. "Learning from others through diversity and inclusion in the workplace is incredibly important," she said. "People of different races, genders, backgrounds, and professions enrich the work we do." "If I only surround myself with people who look and think like me, why do I need to talk to anyone else at all? To be our best, we all need the challenge of experiencing and learning from different viewpoints and perspectives, which makes our work so much stronger," said Jarmon. "And I've been told that I've helped inspire women and people of color just by doing my job. They know it's possible for women of color to reach senior levels because they see me in this position." Jarmon's secret to success is challenging herself with continuous learning, and it's why she still loves her work decades after she took her Certified Public Accountant exam in 1982. She reminds us that at the beginning of her career, the Internet was unknown and auditors did not routinely use computers. She welcomes the changes in Government auditing. "I'm a millennial at heart; I like change and like to learn. And that's a good thing, because continuous change is inevitable, so I welcome it with continuous learning." Jarmon began her career at KPMG auditing firm, where she worked for over eight years. Subsequently she worked at the Government Accountability Office for 15 years, the Department of Education for several years, and at the U.S. Capitol Police as Chief Administrative Officer, before landing at HHS OIG. A mother of two grown sons, Jarmon is also a proponent of work-life balance and caring about employees as human beings. "This organization is a great place to work because it challenges you to do your best and reach for excellence, and people here support you as a person," Jarmon said. "Life happens, and people show concern about each other—and that makes me happy and proud to be a part of this agency." Growing up, CJ Porter had several family members who served in the military. She listened to their stories and was intrigued by the idea of serving her country. At the age of 17, she joined the Army Reserve and later served as a full-time active duty soldier. After graduating from Slippery Rock University, Porter worked for the U.S. Postal Service as a Postal Inspector. In 2002, she joined the Department of Health and Human Services (HHS), Office of Inspector General (OIG), as a Special Agent in the San Antonio Field Office. After years of commitment and dedication to OIG's mission, she rose through the ranks to become an Assistant Special Agent in Charge in the Dallas Regional Office. A few years later, Porter was named the Special Agent in Charge in Dallas, making her the only female to currently hold that position at OIG. "It's an incredible honor to lead the Dallas office, and my staff, encouraging their success and seeing their professionalism, dedication, and innovation on a daily basis." Porter believes three qualities lead to a successful law enforcement career: a positive attitude, integrity in decisions and actions, and knowing how and when to follow the facts. "I'm most driven by the impact we make. Every day, we invest our time and effort in working a variety of individual investigations, many of them very impactful in and of themselves, but when you review the results we achieve as a whole, we return billions of dollars back to the HHS programs that serve millions of Americans. We protect the fiscal integrity of the programs and the beneficiaries served by those programs." Porter also finds it incredibly satisfying to see individuals held responsible for their criminal conduct. 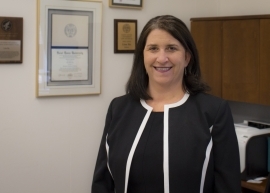 As a female leader and mentor in the male-dominated field of law enforcement, Porter sees her perspective as valuable in cultivating the careers of all her employees who are working together to fight health care fraud, waste, and abuse. "Women do play a vital role in law enforcement and, regardless of gender, it's ability and work ethic that counts." Lisa Re has always wanted to make an impact on the lives of individuals and their families. After college, Re worked for five years as a registered nurse in an intensive care unit attending to patients after heart surgery. The position provided her job security and flexibility while having a significant impact on patients. She eventually segued into a career in health care law-something to which she has aspired since childhood. Re attributes her success in this field to her clinical background. "My clinical background has been invaluable in evaluating the credibility of fraud allegations, particularly those involving patient harm. It also helps me provide practical guidance to help providers comply with Federal health care laws," she said. Re joined the Department of Health and Human Services, Office of Inspector General (OIG), in 2005 and has made significant contributions to the organization, including reorganizing the Administrative and Civil Remedies Branch (ACRB) and leading the expansion of OIG's administrative health care fraud enforcement efforts. This has resulted in unprecedented monetary recoveries. "As an OIG attorney, my work protects the Federal health care programs and has a large impact on people I will never meet," she said. 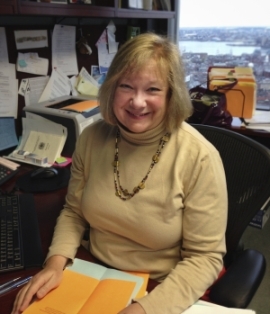 She currently focuses on ACRB's work with DOJ on False Claims Act cases—often identifying creative ways to protect the Federal health care programs when fraud cases are settled. 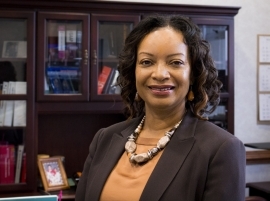 The nurse-turned-attorney is also teaching an undergraduate class focusing on health law at Georgetown University's School of Nursing. "During nursing school, my favorite classes involved health law issues. Now, I find it very rewarding to teach that same class to nursing students," she said. Re believes that finding a job that fits your passion is the key to a successful and meaningful career.